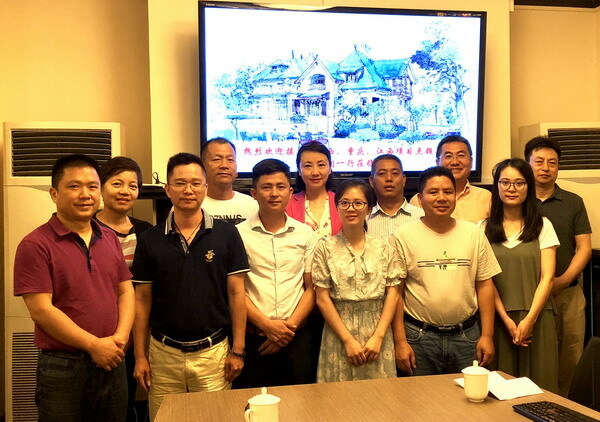 Part of the cooperatives directors and local government functional department leaders held a meeting at the Shanghai Soong’s Family Old House on June 20. They shared the joys and sorrows in implementing the three-year relay baton project to help farmers return hometown to conduct local entrepreneurship, and explored the continuous implementation of the sustainable development project in the new situation. Some cooperatives from Yulin and Hechi in Guangxi Zhuang autonomous region, Xiushan, Chongqing municipality and Xinyu, Jiangxi province and other areas, through three years of operation, not only increased the income of the project households, but also created distinctive and marketable agricultural products. In the practice of leading farmers to get rich together, some cooperatives tried the mechanization of operation, effectively improving the production efficiency and some cooperatives changed the traditional cooperative business model, becoming the local large-scale agricultural base. The cooperatives directors are confident in the second phase of SSCLF’s Farmer Entrepreneurship Relay Baton Project.